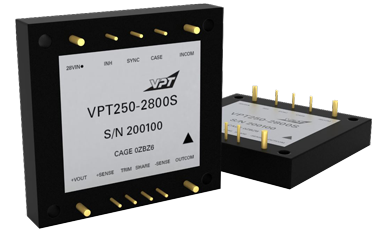 VPT250-2800S DC-DC Converter | VPT, Inc. The VPT250 series of isolated COTS DC-DC converters is intended for harsh environments including severe vibration, shock and temperature cycling. A wide input voltage range accommodates nominal 28V inputs including avionics, mobile, ground systems and other applications.